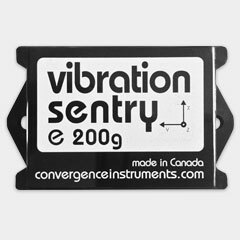 The Vibration Meter Data Logger – Vibration Sentry E-200g is a new generation of smart data logger that can record acceleration, inclination, vibration and impacts. 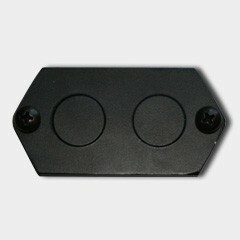 It includes a 3-axis +-200g MEMS accelerometer, an accurate date/time clock and a non-volatile 128 Mb recording memory. 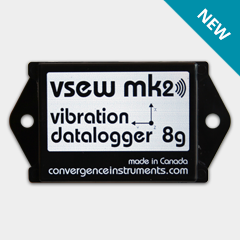 Depending on the settings it can record vibration signals and/or RMS levels for months. 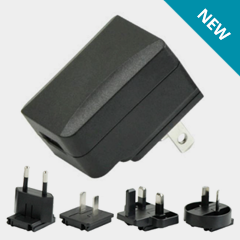 Its very small size allows it to be attached to or embedded within the monitored equipment. 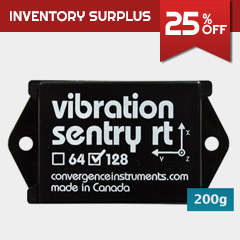 The Vibration Meter Data Logger – Vibration Sentry E-200g is an all digital design with an integrated oscilloscope function that can show the vibration signals in real time, and an integrated spectral analyzer function that shows a 512-line spectrum in real time. It is self-calibrated using the earth’s gravity as a reference. An auto-rec feature allows the instrument to stay dormant for months, only recording when the acceleration signals are detected over an adjustable threshold. The Vibration Sentry E series of vibration meter data logger is ideal to monitor shipments in transit and record adverse events such as shocks, high vibration levels and/or tilt. installation setup wizard is provided to automatically and effortlessly setup the instrument for shipping applications. A new AutoRec implementation that performs the triggering in software with much greater precision than on the RT model. The new trigger provides at least 80 ms of pre-trig data. Integrated oscilloscope function that can show the vibration signals in real time. Works standalone, or USB connected for setup and data transfer to PC.